Having managed both mature and cutting edge products, I can say that it usually takes a while for customers to switch over to new technologies like streaming. 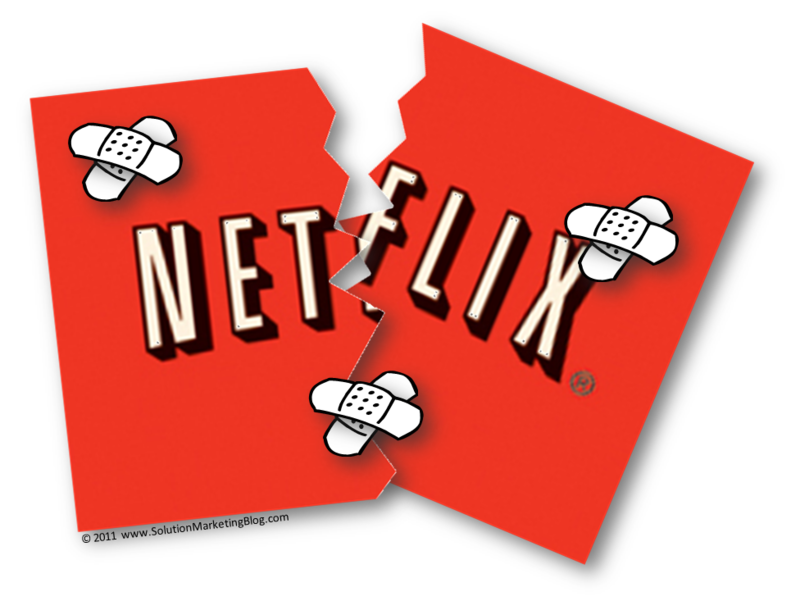 While you may want to entice customers to make the switch, you can’t force them without risking the loss of their business – which is of course what happened at Netflix. If you’re losing money with the old business model (DVDs), you may actually want to jettison those customers. But that’s not the case for Netflix, which projects healthy Q4 profit margins of 40% to 52% for DVDs (and 7 to 9% for streaming). #3: Customer problems are not always communication problems. When it comes to “communication”, Reed Hastings has issued more mea culpas than a sinner at confession. Just one problem: Netflix hit headwinds because of their customer-hostile strategy, not because of poor communication. Netflix’s initial communication in July seems pretty clear and direct to me. #4: If you’re trying to get customers to use new technology, bundle old (DVD) and new (streaming) together at a (gasp!) discount. Incredibly, it actually looks like Netflix is more interested in punishing dual DVD and streaming subscribers than rewarding them. These folks pay more and they almost had to manage their DVD and streaming accounts separately on two different, disconnected websites (Netflix has since scrapped that plan). Instead, most marketers would discount bundles to reflect the lower customer acquisition and handling costs per dollar of revenue for dual DVD and streaming customers. #5: Today’s old technology customer should be tomorrow’s new technology customer. Every marketer knows that it’s expensive and time-consuming to build a customer base. In fact, it should be a lot easier to keep existing customers happy than to find and convert new ones. It only makes sense to keep those customers (and their revenue) and gently work over time to get them onto new technology if it benefits you and them alike. #6: Remember that you exist to provide value to your customers. Meet the need and provide a good value, and you’ll keep customers. If you lower the value (customer’s perceived benefit minus the cost of using your service) by raising the price and lowering the benefit (as Netflix did), you’ll lose customers. The perceived benefit is determined by the customer, not by you. Sure you may think you’re providing a benefit by making streaming more attractive. But if they’re not ready for streaming, then streaming – or any other new technology – is not a benefit. And they won’t buy it.